What happens when a DADA tent pops up on Spring’s terrace? 5-metre-wide mobile museum that was originally a rescue tent but which now features a 3-channel video projection will appear at Spring on its trip across Hong Kong, moving from community to community, giving and taking, collecting and archiving. Artists MAP Office will send a team of scouts into the neighborhood to gather color and report back. 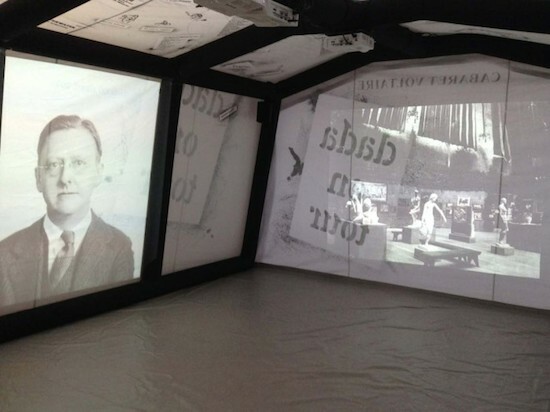 The tent represents a temporary foothold in Hong Kong for the Cabaret Voltaire, birthplace of DADA. An initiative of Zurich University for the Arts curated by Hayat Erdogan, the tent called “Dada on Tour”, will set up in different locations across Hong Kong, wandering our city like Polytropos, or Odysseus the Wanderer, changing by collecting, mapping and exchanging stories and ideas.